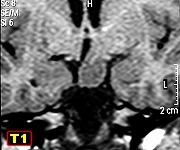 M. 49 yr. 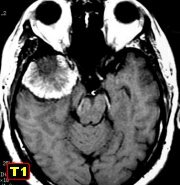 Giant invasive pituitary adenoma infiltrating skull base and nasopharynx F. 37 yr. Anaplastic primitive neuroectodermal tumor (PNET) of left frontal lobe. 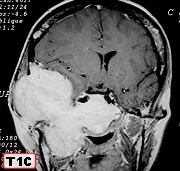 M. 17 yr. Primary myxoid sarcoma of brain. 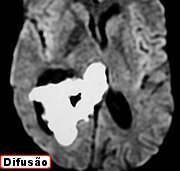 Three recurrences over four years M. 4 d. Congenital PNET (primitive neuroectodermal tumor) of cerebral hemisphere with ependymal and neuroblastic differentiation. 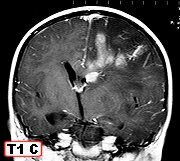 M. 24 yr. Occipital pilocytic astrocytoma featuring grossly abnormal vessels, leptomeningeal and parenchymal infiltration and ventricular seeding. 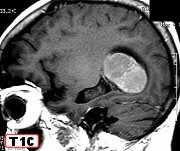 M. 63 yr. Cerebellar pilocytic astrocytoma with atypia and high Ki-67 index. 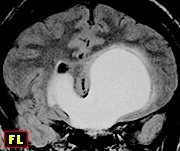 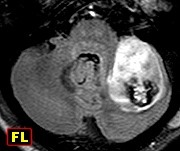 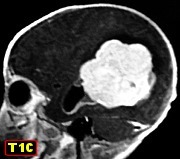 M. 38 yr. Left parietal cavernoma (cavernous hemangioma) extending from ventricle to hemispheric surface. 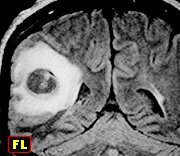 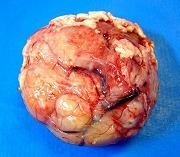 F. 75 yr. Fibroblastic meningioma of left lateral ventricle. 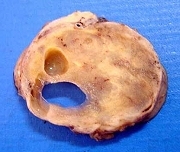 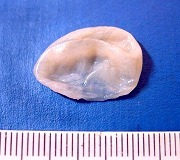 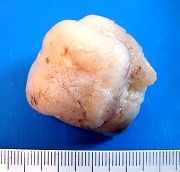 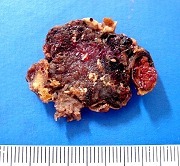 M. 25 yr. Dermoid cyst (mature cystic teratoma) of sellar region. 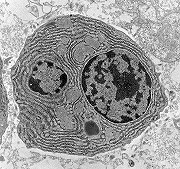 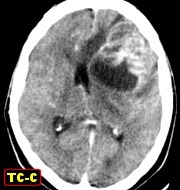 Spread of lipid droplets through subarachnoid space and lateral ventricle. 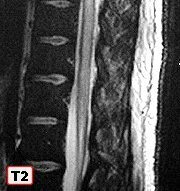 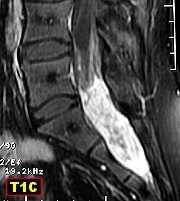 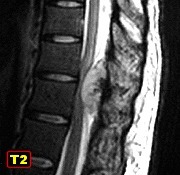 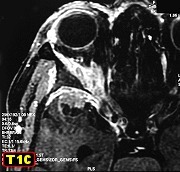 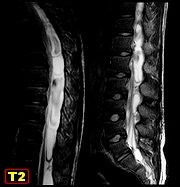 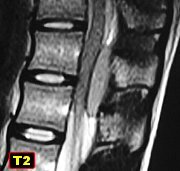 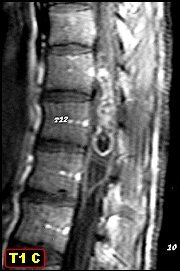 M. 33 yr. Epidermoid cyst of right choroid fissure and arachnoid cyst of posterior fossa. 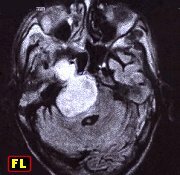 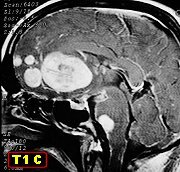 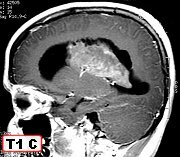 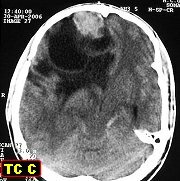 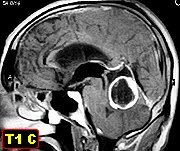 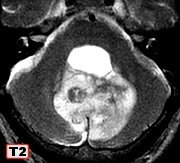 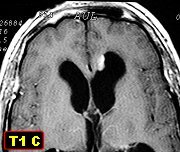 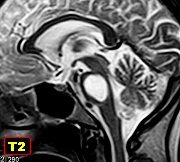 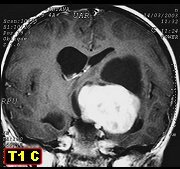 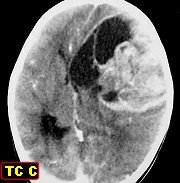 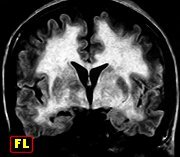 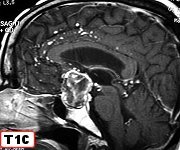 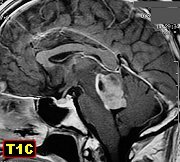 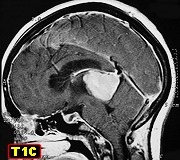 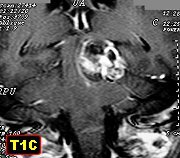 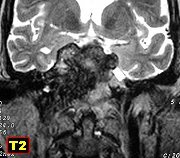 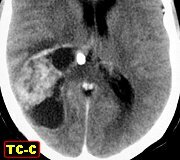 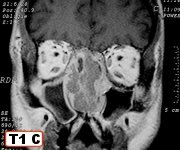 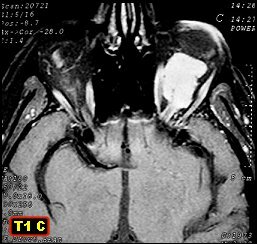 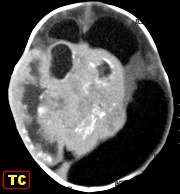 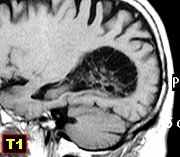 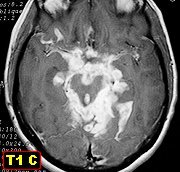 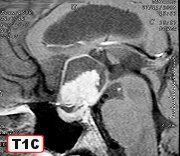 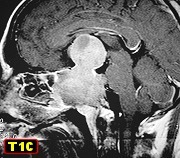 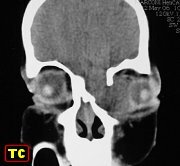 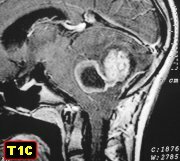 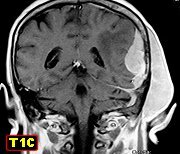 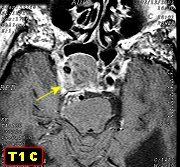 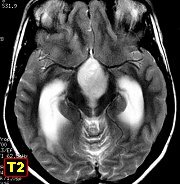 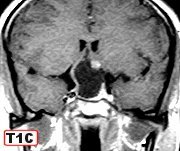 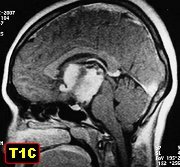 M. 44 yr. Adamantinomatous craniopharyngioma extending into frontal lobes M. 31 yr. Neuroimaging highly suggestive of craniopharyngioma - third ventricle cyst with fluid level. 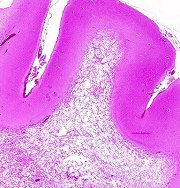 On histology - pilocytic gliosis, cholesterol granulomas, but no tumor tissue. 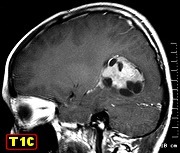 Pilocytic astrocytoma of midbrain tegmentum and pons with cerebellar extension Pilocytic astrocytoma of midbrain. 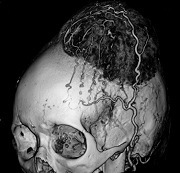 Leptomeningeal infiltration and desmoplastic reaction. 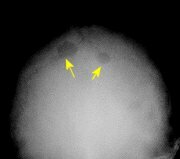 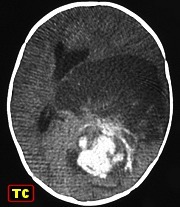 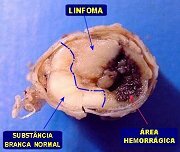 Secretory meningioma of sphenoid wing with hyperostosis and extension into middle fossa and orbit. 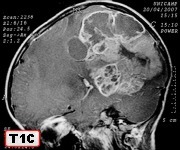 F. 6 yr. Gliomatosis cerebri (rapidly growing, extensively infiltrative anaplastic astrocytoma). 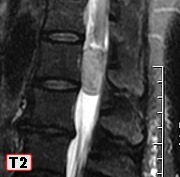 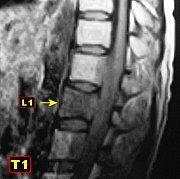 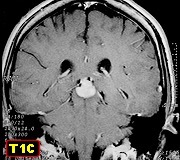 Echinococcosis of the central nervous system. 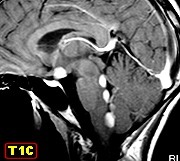 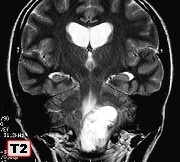 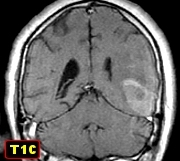 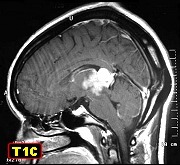 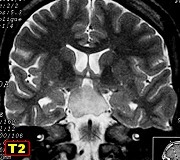 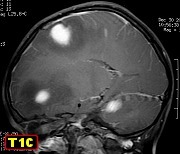 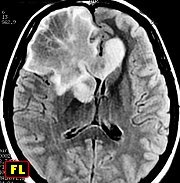 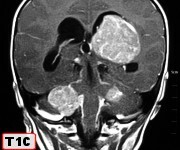 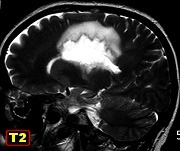 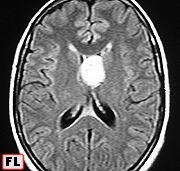 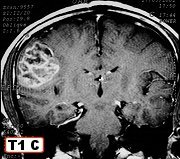 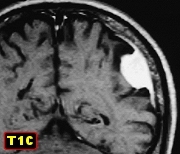 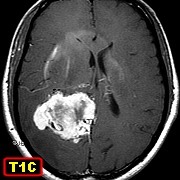 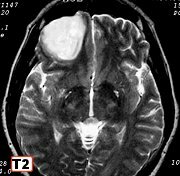 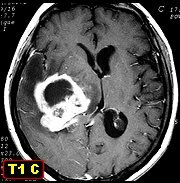 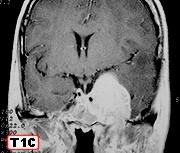 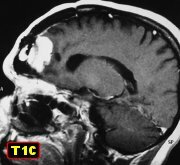 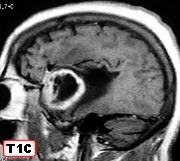 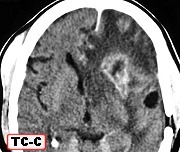 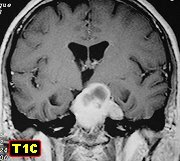 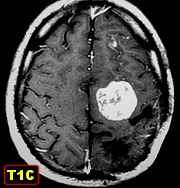 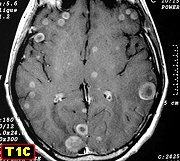 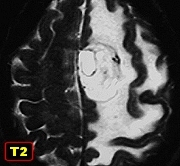 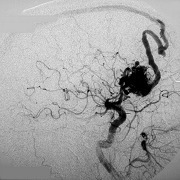 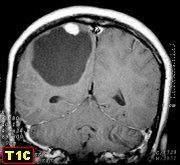 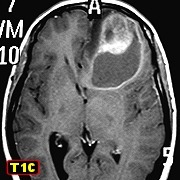 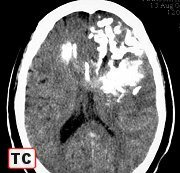 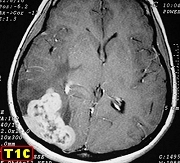 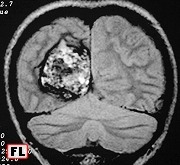 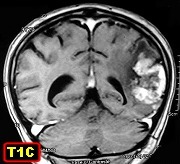 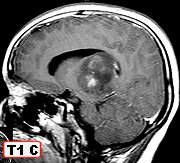 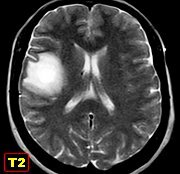 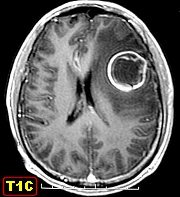 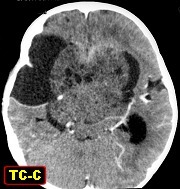 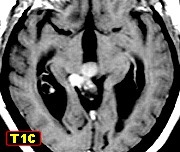 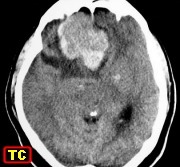 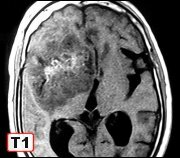 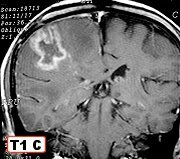 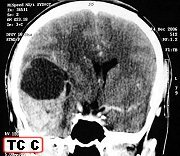 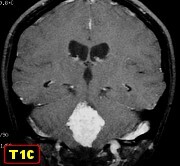 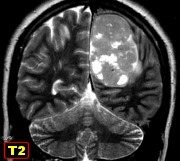 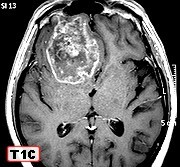 Ganglioglioma with sarcomatous component. 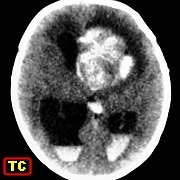 Non Langerhans histiocytosis of skull base and sellar region. 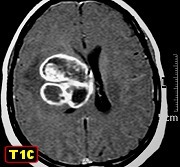 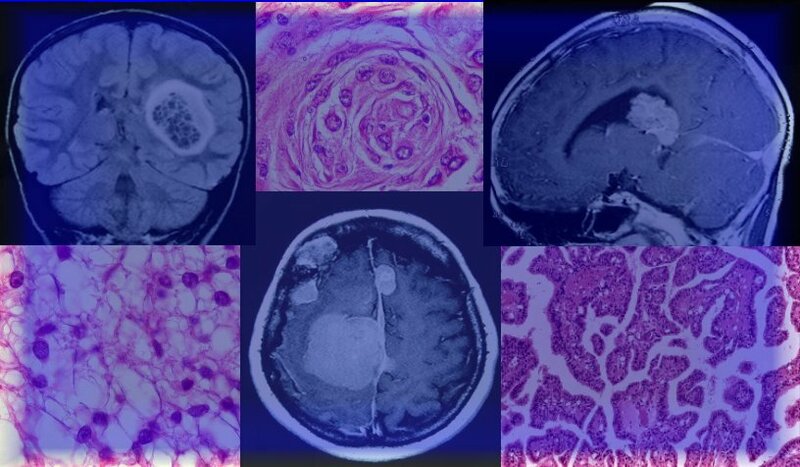 Non Langerhans histiocytosis of meninges and brain.